Sexual Health Services 4 Herefordshire will keep all your health information confidential. This includes: anything you tell us, any information we write down about you and details of any treatment you have had. We will not share any information about you without your consent. Your newly launched Sexual Health Service! We provide free and confidential sexual health services from our easily accessible new clinic. This includes information and advice on all types of contraception and STI testing and treatment. Our service is confidential, non-judgmental and for people of all ages, genders and orientations. Everyone is welcome and you don’t need to see a GP first. You can attend our new clinic or speak to us on 01432 483693 or 0800 7720478. You can also request a call back from the team by texting 15STOWENSTREET to 60030. Should you have any queries about our clinics, please contact the service using the details above, please do not contact the venue directly. For smear tests, please visit your GP first. You can also access most contraception including first and repeat prescriptions at your GP. "I like that in the relationships section (of the website) you don’t describe relationships being between two people. That's awesome and opens up your services to more people!" "Can I just say well done to you all, you're the first sexual health site that I've seen discuss chemsex and its awesome to see you discussing it in a supportive and informative way." © 2019 Sexual Health Services 4 Herefordshire.  iTelehealth, Solutions4Health and the heart symbol are all registered trademarks of Sexual Health Services 4 Herefordshire.